Sovanna Pouv, the executive director of the Cambodian Mutual Assistant Association and a resident of the Highlands composed the following statement for last night’s Board of Parks meeting on the proposal to change the name of Clemente Park to Pailin Park. However, the Board of Parks tabled the proposal before this statement could be read into the record. Nevertheless, Sovanna has shared his statement for posting here. Good evening fellow community members, members of the board, fellow LOWELLIANS. My name is Sovanna Pouv of 95 Florence Avenue located in the Highlands neighborhood. I am unable to be here tonight as I am celebrating the 18th birthday of my first born child. My daughter is an inspiration to why I am so committed to work that encourages equity and inclusion crossing all race, genders, classes and age. I am here in spirit, commending all individuals who are sharing their support or concern for this effort. Thank you. I am a proud husband, father, family member, friend … And very importantly, an extremely proud member of the Lowell community for nearly 30 years. I am in favor of the name change for the park, but I would like to address opportunities for process of decision making, and share an example of a solution. Before I begin, there is a quote that I would like to recite by Fredrik Nael. I am here today not only as the Executive Director of the CMAA – Cambodian Mutual Assistance Association, but as a fellow community member who wants to create opportunities to unite and build relationships with our neighbors in this beautiful city we all refer to as “HOME”. Our city has a rich history of culture and diversity which I had the privilege to witness and experience first-hand. Since moving here in 1988, I’ve met and became acquainted with so many individuals from many different backgrounds. I had a Puerto Rican friend who protected me from bullies at the EN Rogers School, a friend from the Black/African American community who helped me create a comic book that won a best design contest, and a best friend who was Irish whom I grew up with in the beautiful Centralville neighborhood. In high school, me and my Asian friends formed a break-dancing crew who had the opportunity to perform at the first ever Dance for Peace event at the Smith Baker Center. These were genuine relationships created despite of all the stereotypes and assumptions because in a city like Lowell, these friendships are possible. We connected and got to know each other, building new positive memories while breaking down walls of negativity and the unknown. 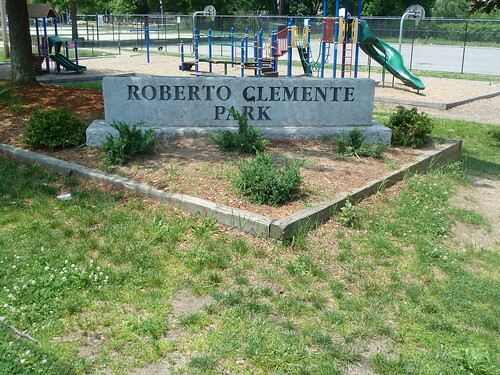 Roberto Clemente Park is near and dear to many of us in this room. It is a public space for anyone in the city to congregate, play, make friends, and continue the positive livelihood that we have all built it to be. It also has a rich history. Whether you’re from the early years when it was known as Washington Park … later years when it housed amazing baseball players from the Latino community … to what it is today, a safe haven to host a city-wide Cambodian New Year event that brings together people from all walks of life. It has always been a home for diversity and cultural inclusion. Because of this rich history, the name change effort is going to hit many of us hard. That is the truth. It will hit some of us so hard that we will start thinking about reasons to not trust each other. It will bring back some of those dark memories in the early 90s where the Latino and Southeast Asian communities did not get along. That is not what we deserve and that is not what we need right now. We need to look at solutions that will intentionally and genuinely connect us so that we can celebrate a public space that had the original intention of bringing many Lowellians together. process up until now, I would like to remind everyone that when the process did take place to change the name, it was not fully shared or understood by some members of the Cambodian and Latino community. If anything, it created some confusion. May I suggest when working on any solution moving forward, we need to make sure that we reach out to as many of our community members as possible so that they can be informed and get involved. This is hard work, but we can do this together. An example solution that I would like to propose is a sign that will display the history of the park. The sign will contain the name changes that took place and the community members that were involved in the process. It should honor and respect the communities that came before us and how it influenced the park to be what it is today. The sign should be centrally located and designed with feedback by all members of the community. This is a huge opportunity for us to work together to come up with a common solution. The sign doesn’t have to be the solution, but I hope that it will spark new ideas. As a resident of Lowell and as the Executive Director of the Cambodian Mutual Assistance Association, I would like to work with all communities (not just the Cambodian community) in Lowell to strengthen our city and make sure everyone has access to resources and most importantly, have their voices heard. Before I end, I would like to remind all of us, that no matter what the outcome is, we need to use this as an opportunity to build a bridge, to come together, to celebrate our differences and continue a path of solidarity so that we can represent our city to the best of our abilities. Thanks for writing this up, a very impressive one, as well as good suggestions.